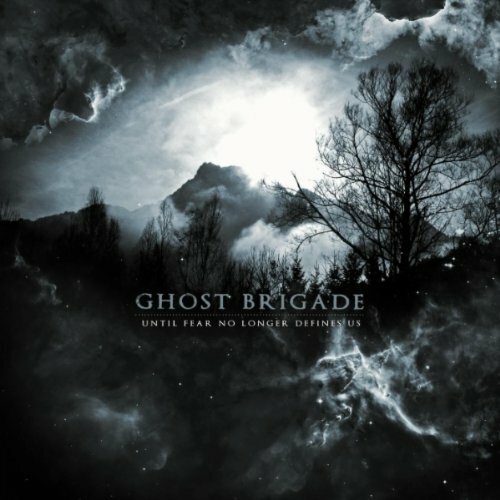 The latest from Finland’s Ghost Brigade isn’t quite metal, nor is it straight alternative rock. Rather, it occupies that grey area of dramatic mainstream alternative alongside groups like Alice in Chains, Stone Temple Pilots, Evanescence, etc. Maybe Evanescence is stretching it, but this is definitely some standard alternative radio fare. Dramatic, moody vocals accompany deep, melodious guitar tracks. Singer Ikonen’s mid-range, depressive voice suits the genre perfectly and is versatile enough to fit the album’s alt-rock opener and heavier middle tracks. The album does delve into some more bone-crunching tunes after the placid opening, for those who prefer the thrash side of the menu. Then it slides into some generic last few tracks that sound like a perfect blend of 90s alt and new metal. The thread tying the whole album together is perhaps the pervasive sense of depression and despair. As Ghost Brigade is another alternative metal band from Finland, this shouldn’t be too surprising. The album succeeds in being a downer. If you aren’t depressed to begin with, however, this could make “Until Fear no Longer Defines Us” kind of a boring listen. The emotional palette of the album is entirely shades of grey. Whether the listener prefers alternative rock or alternative metal, it’s hard not to find the album totally morose. The middle tracks could have real bonecruncher status if it weren’t for Ikonen’s voice, which stays basically the same throughout the whole album. Replace Ikonen with the guy from Stone Temple Pilots, and it would be hard to notice the difference. Unfortunately, this kind of waters down Ghost Brigade’s metal qualities. Ikonen is just a little too moody to make real dark metal of the sort that usually only comes from Scandinavia. This is too bad, because although Finnish metal can get dark, real dark, it usually isn’t quite as boring. “Until Fear No Longer Defines Us” would probably find more fans in the alt base than among metal heads.